St. Pete Preview: My God – It’s Full Of Rookies! The cold, dark and vast vacuum of IndyCar’s off season is finally about to be penetrated – ironically, not on Florida’s space coast, but rather in the western city of St. Petersburg. Spinning, revolutions and centrifugal forces will be on full display during this important inaugural mission of 2018. No, you’re not tripping. The Firestone Grand Prix will see the most colossal class of rookies since the dawn of man. Aping the veterans, they’ll be strapping into brand new rocket ships for the first time next weekend. An asteroid sized chunk of the field has never raced an IndyCar in anger, much less in the unforgiving confines of St. Pete. These FNGs’ race odyssey begins in earnest with the blastoff of a new age in IndyCar. Most of this generation were in diapers in 2001, as were their parents in 1968 when Kubrick’s mind blowing film 2001: A Space Odyssey debuted in theaters. Considering their boundless inexperience, let’s just hope come Sunday they don’t forget their friggin’ helmets. Fittingly for Detroit the rodents ruled while the racing bit in another atrocious street “race” on Belle Isle. A track already known for enormous rats roaming the island saw a squirrel artfully dodging cars in one of the few highlights of a tedious afternoon of racing. Courtney’s dragster blew up Friday and her husband Graham Rahal, not to be upstaged, went out and won his fifth career IndyCar race the next day. 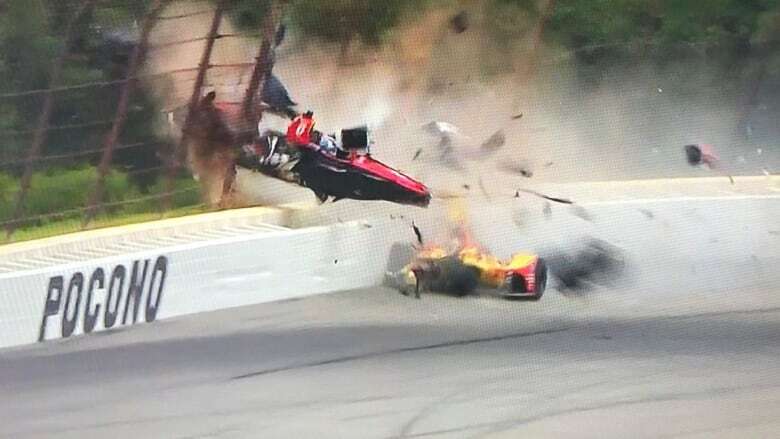 Following last week’s horrifying crash, Scott Dixon held on to second for Ganassi and SPM’s James Hinchcliffe recovered from a first lap brush with the wall – which brought out the first caution – to a best ever third place result at Detroit. Windy conditions kept the Cap’n’s crew – quickest the previous practice, at least in the tow – largely off of Indy’s oval Wednesday. Only Newkid made an appearance, for eleven whole laps. Luckily other teams weren’t deterred by some mere gusts – not entirely. Early on Ed Carpenter Racing held the top two spots no matter the tow, with Ed and J.R. 1-2 in their respective Chevys, tops in both categories. Recall that Ed led the way with the highest non-tow speed Tuesday, with J.R. not far behind. By the end of the session, the series’ only owner/driver again owned the quickest lap at over 222.8 mph. Dixon was second quick for Ganassi, his Honda doing nearly 222.6 mph, while J.R. was third. Fernando Alonso turned in the fourth best speed – more on him later – and our man Conor Daly completed the top five, Tweeting he was “really happy with the changes overnight.” Way to go, Conor! Early Speeds: Marco “practice warrior” Andretti was quickest in today’s first Indy 500 practice at over 226.3 mph, followed by Scott Dixon, Ed Carpenter, Sebastien Bourdais and Ryan Hunter-Reay. Note the two 500 winners in the group. However, the all important non-tow speeds where cars run by themselves saw Ganassi’s Tony Kanaan and Andretti’s Ryan Hunter-Reay both going over 223.5 mph with Scott Dixon topping 222 mph. Fernando Flew: F-ing F1 driver Fernando Alonso flew in to Indy for practice after finishing twelfth at his home GP in Barcelona Sunday. He’d previously flown through rookie orientation May 5th in a private session. The Spaniard wasn’t exactly flying today at the track though, managing only nineteenth at just over 223 mph. Afterward he mentioned looking forward to “listen[ing]” to his teammates and that “the most difficult thing will be the race itself.” That, or all that flying. J.R. Hildebrand gave fans someone to root for other than those paradoxical Penskes in a flawed though mildly entertaining show in the desert. Simon Pagenaud and the Penskes prevailed going away as the first oval and night race of the year looked like 2016 in microcosm. Thankfully there were other stories, or rather a single other story, on NBCSN. If we heard about it once, we heard it a thousand times. Hildebrand‘s comeback race from a broken hand at Long Beach – requiring “a plate and eight screws” as Paul Tracy read from a card – saw him finish an impressive third. It was Ed Carpenter Racing‘s best result in some time and a remarkable feat by the team’s shorthanded newcomer. We couldn’t help but think of the sound of one hand clapping during the race, as the crowd looked sparse on television and the Saturday night time slot is challenging for ratings to begin with. After seeing the start though, maybe that’s not all bad.